Unicorn Jewellery Dish. • Gold highlights – stars on the dish and Unicorn’s horn. 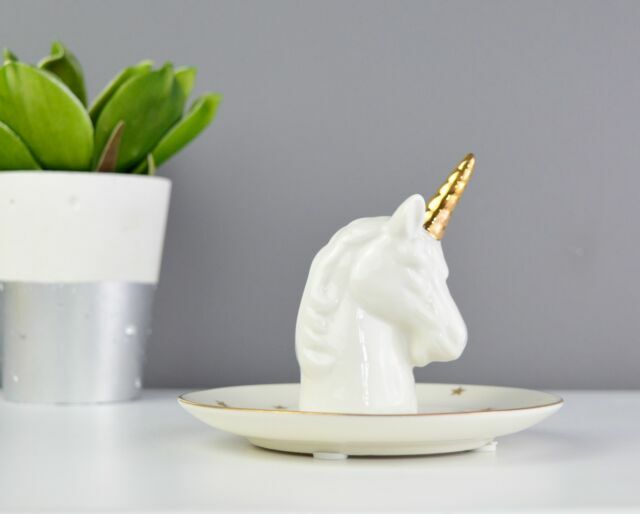 • Ceramic unicorn ring holder. • Integral trinket dish for your treasures. There are a couple of tiny dark marks on the glazing. Such a nice little ring holder. Absolutely love this item! It's the right size and it's absolutely beautiful! And the company is really friendly and helpful.